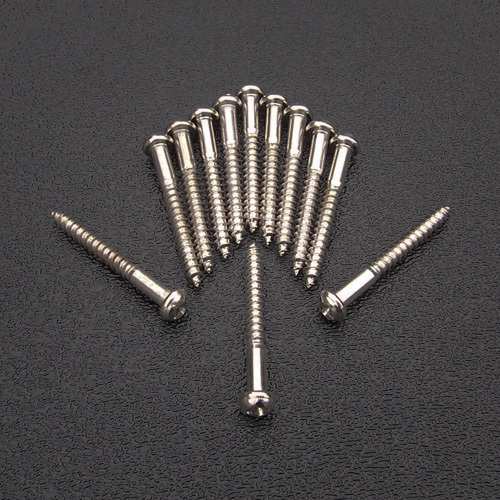 Genuine Fender® Stratocaster® vintage tremolo bridge mounting screws. Nickel plated. Set of 12. Length is 1-1/8" measured from the underside of the Philips round head to the tip.